So far the Alcala Casa is still just a big pile of dirt. John is excited because the plumbing was just installed but it still just looks like dirt to me. Our layout is complete and all of the adjustments have been made and the builders have all of the city permits they need! So while they are working on their end we have had a little ton of work on our end. Last week we met at the design center to talk about the interior finishes of the home (paint, flooring, cabinetry, granite, tile, back splash's, lighting, etc) After our 2 hour appointment with the designer I decided to take 3 more trips up there to sort out my thoughts because I was so overwhelmed! I spent hours on Pinterst, Houzz and every other design app out there to help me figure out the exact look I wanted. It is so hard when you are the one choosing it all especially when you are like me and you like so many different looks and styles. I seriously like it all! When I walk in Restoration Hardware I want everything, when I walk in Z Gallery I am in complete love, when I walk in West Elm I feel inspired, when I walk in Pottery Barn I find something for at least one of the rooms in my house and when I walk in Horchow John hides the credit card lol!!! I love the art of fashion and design and truly appreciate all the dimensions of it. We decided to go with nailed down, hand scrapped hard wood floors. 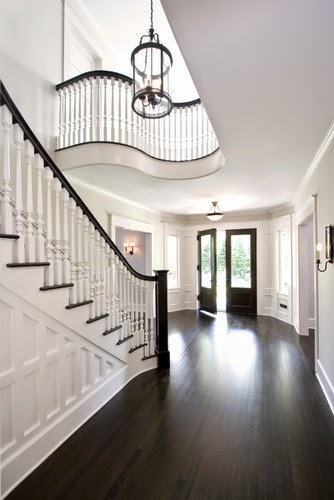 We chose a dark ebony stain that I am in love with for the floors and stair rails. The picture below was my inspiration for the floors. Instead of doing a dark stain on the cabinets we decided to go with white cabinets in the kitchen and in all of the bathrooms. I found out that there are multiple shades of "white" so we went with designer white which is very white but not quite stark white. I wanted to go light but not too beige or too grey. I just wanted a soft neutral for the whole house and I decided on a shade called Pillar. Before we move in we will paint the girls nurseries (PINK of course) and a few other rooms different colors, but Pillar will be the shade for the majority of the house. 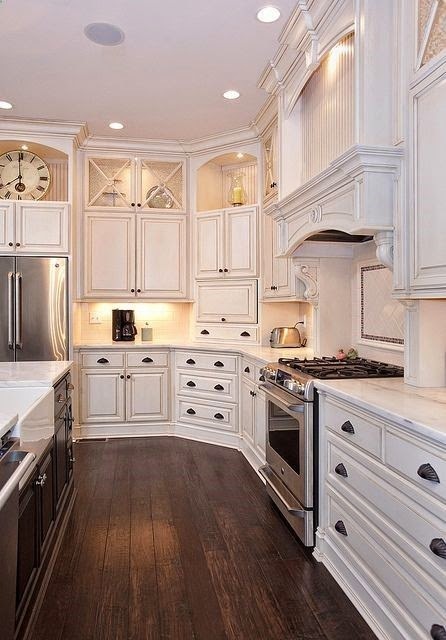 The Kitchen involved the most decisions for me and in my opinion it is probably the most important room next to the living room. 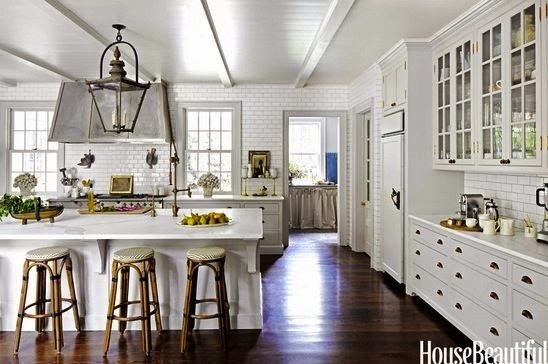 I had a hard time deciding on the exact look I wanted because I love so many different styles of kitchen but I had to just follow my heart and go with.... the white cabinets, a light granite called "winter pines" and a white, glossy, subway tile back splash. 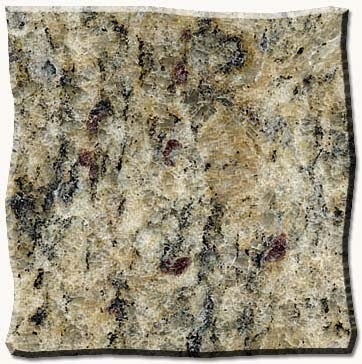 We went with a granite called Santa Cecilia for the counters in the master bathroom and downstairs guest bathroom. I love both the the warm and cool tones in this particular granite. We only used floor tile in the bathrooms and utility room. We decided on a stone tile called Millenium Eurasia Cafe for our master bathroom. 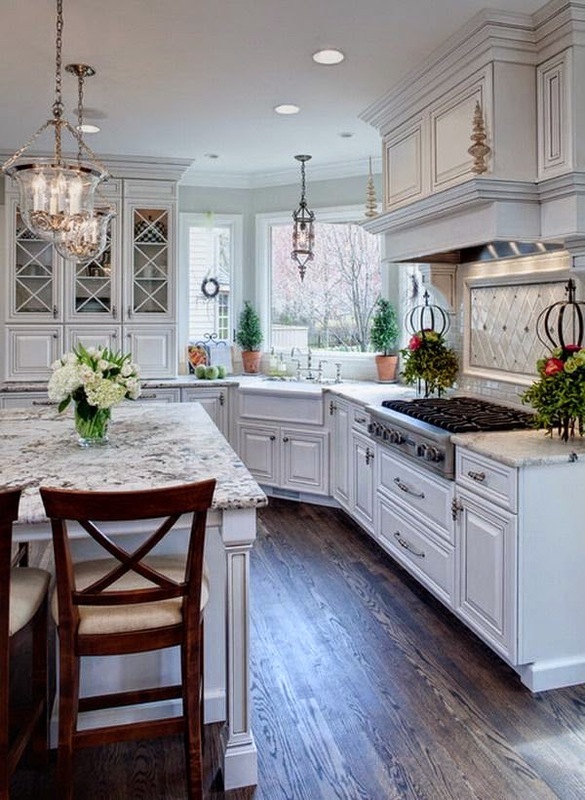 I absolutely love how this stone encompasses both the cool (gray) and warm (beige) colors I love to use in my home. We also decided on an almond color, glossy, subway tile for our shower. I wanted a clean, classic look for the bathroom and I really feel that the subway tile is classic and timeless. Although I really tried to stay simple with the design I did have to add in a little cute glass/stone runway accent strip in the middle of the shower! We chose a tile called MZ Coliseum Ivory for the other bathroom floors. It has both the cool/warm tones plus a really great texture to it. Although initially I wanted to go with a clean light greyige berber carpet for the upstairs, I decided a light, solid color carpet was probably not the wisest decision considering we have a 1 year old and 2 year old! Instead we went with a shaggier speckled carpet that can definitely camouflage spills a little better. 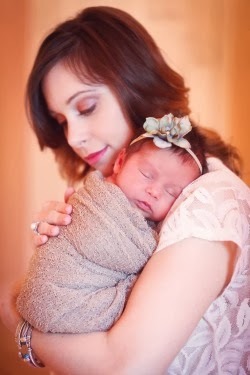 I also felt that a softer shag carpet might be more comfortable for crawling/toddling babies. Well there you have it, a few of the designs we chose for our upcoming home. I really love the clean, neutral pallet we went with, that has both those cool and warm tones. Honestly though, above all else I just want our home to be a place where people come in and feel welcomed & loved. I want it to be a place that feels "homey" to every body who walks through our doors. Growing up my childhood home was always a place where all of our friends loved to come hang out (and it was by no means big & spectacular) but it felt like home to not only my siblings and I, but to many of our friends. Some of our final selections for the Alcala Casa! Lord may your presence always fill our home and may every person that steps through our doors feel welcomed and drawn to you.